I mean, the whole idea was “personalized” and to celebrate and acknowledge the 50 years. So c. is actually the abbreviation for century . . . .so “1/2 c.” is half century. Many of you know y/o is year old. I thought 50 year old TP was funny. I mean, those are my initials, but it could sound like 50 year old toilet paper! Then the last two . . . just trying to keep it personal. I couldn’t think of anything else. 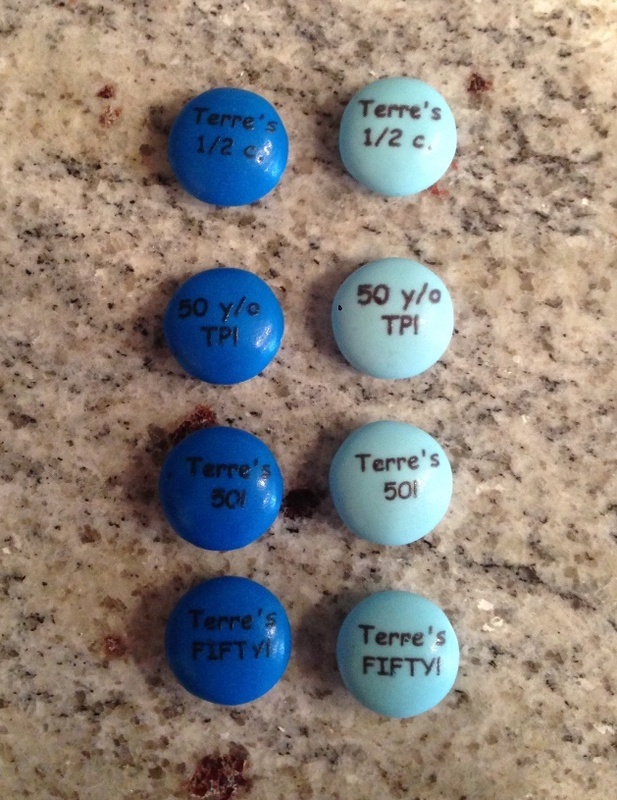 And the FIFTY was like a shout out to the “WHOA!” Whoa Terre is FIFTY!!! How did that happen?